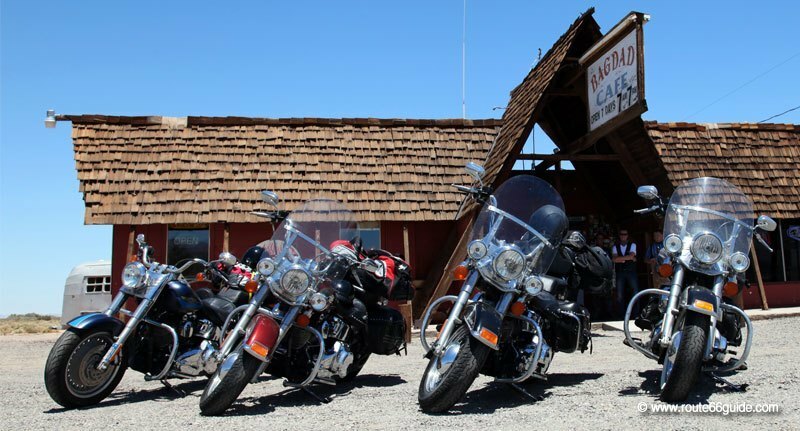 Above: Harley Davidson motorcycles in front of the Bagdad Cafe (Newberry Springs, CA). The cult road movie "Easy Rider" takes us on a Harley-Davidson ride with two "biker-hippies", namely Wyatt "Captain America" ​​(played by Peter Fonda) and Billy (Dennis Hopper), crossing the west and southern United States to reach New Orleans. On their road, they run into a gallery of portraits sometimes extreme, sometimes typical of the US at that time - including the delusional, alcoholic lawyer George Hanson, played by the excellent Jack Nicholson. In the background, a series of postcard-like settings, from the Pacific coast to the historic streets of New Orleans. A true ode to freedom, "Easy Rider" highlights the sociological changes our Western societies underwent at the time, by presenting opposing characters with contrasting mindsets; groups of naked hippies in the desert and homophobic racists, but also by comparing the protagonists themselves; one open to new encounters and experiences, the other closed in himself and uncommitted. Murder, prostitution, marijuana joints, LSD pills and cocaine are shown on a religious and American flag background, an omnipresent icon painted on their bikes and worn on their helmets and jackets. Symbolic but even more so controversial since the bikers hide drugs in their bike tanks, fully covered by proud star-spangled flags. Oil, the US, drugs ... What a scandal! As a snub to those who take offense at the release of the subversive film, Captain America, the philosopher of the team, wonders if the US, so attached to the values of freedom, is actually scared by those living it out to its full, uncompromising extent. Bearer of a new cinematic style at the turn of the 1970s, "Easy Rider" is one of the first independent, low budget movies to enjoy such a roaring success, quickly crossing the ocean to become a generational icon. The movie addresses with unprecedented frankness topics such as drug dealing, politics, sexuality (which was not without its problems to its creators, especially during its first television broadcasts). 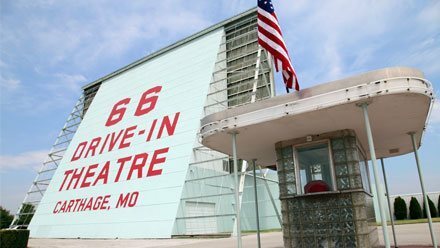 It was filmed along Route 66, especially in Santa Monica, California and Flagstaff, Arizona. The movie is a legendary reference for any self-respecting biker. On the other hand, it helped boost "Harley Davidson" sales, which were faltering at the time. Captain America's proud Harley, ​covered in the star-spangled banner, became a timeless icon. 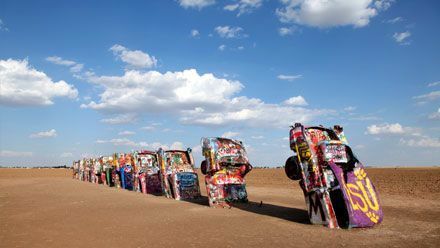 We sometimes spot bike reproductions along Route 66. Wyatt "Captain America" ​​and Billy, two hippy-bikers riding across the southern United States. On their way, a gallery of contrasting portraits of the USA of the time. This movie is the symbol of a whole generation, a pioneer of the "new wave" and of the movie cons-culture in Hollywood. An ode to freedom, embodied in its anthem "Born to be wild". 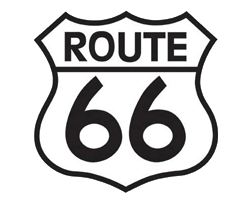 The film was shot along Route 66, between Santa Monica, California and Flagstaff, Arizona.